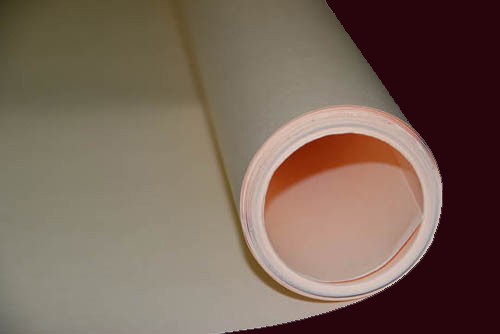 Manila paper is beige in color and the fibers are usually visible to the naked eye. Because manila paper is generally inexpensive, it is commonly given to children for making child art. Manila paper (from a large roll) is also used by some in fashion schools and in the fashion industry to place finalized clothing patterns on.